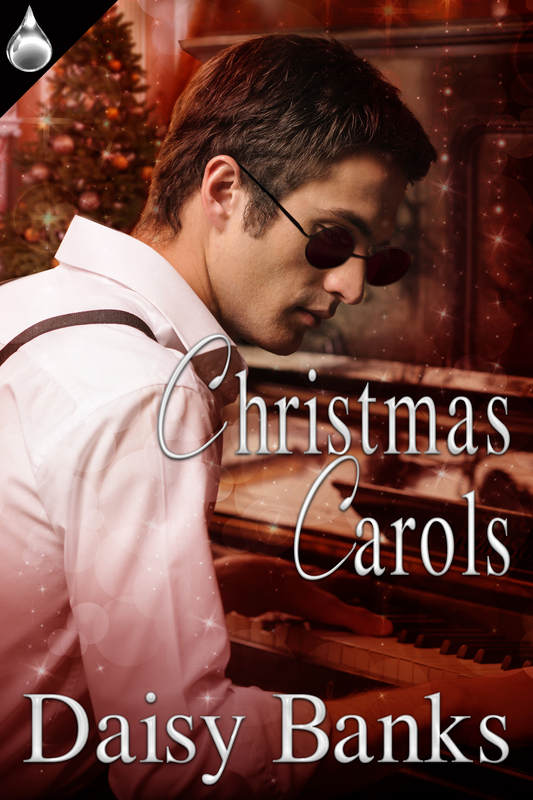 I’m delighted to welcome Daisy Banks back to my blog with her newest release, CHRISTMAS CAROLS. I positively adored this sweet romantic tale set in the Victorian era. A great read at anytime of the year, not just Christmas, I can easily see myself reading this book over again, revisiting characters I fell in love with. You can find my 5-star review for CHRISTMAS CAROLS on Amazon. In the meantime, please welcome Daisy Banks, as she takes her lovely book on tour! Thank you, Mae, for your kind offer to help me celebrate the release of my new book Christmas Carols, published by Liquid Silver Books on the 10th of August. I know readers might think it a little odd to be thinking about Christmas in August but in Victorian England, where my story is set, people were used to starting their Christmas preparations early. Many projects were begun a full year or more before a specific Christmas. I think that’s an idea many of us now find very strange. With twenty-four hour shopping available in many ways the necessity of advance planning is no longer important. Yet part of the joy in an important event is the planning of it and for it. In the UK we are at the turning point of the year with many seasonal fruits ready for harvesting and here is a recipe for a lovely wine that utilizes berries from the harvest. This is one of my favorites. I hope if you make it you will enjoy it too. This recipe makes about a gallon. 2lb of sugar if you want to make a dry wine, or 3 and a half lb’s of sugar if you want a sweet wine. Make up your yeast starter mix 2 or 3 days before you begin your wine. Use Burgundy wine yeast for this recipe. Put water, malt extract, sugar and citric acid in a pan. Stir over heat until it boils and then turn off the heat. Let the liquid cool a little then pour into a sterile clean half pint bottle. Plug the bottle top with cotton wool. Cool until the liquid is 70F or 21 C and then add your yeast. If it’s liquid yeast culture shake before putting it into you half pint bottle. Put the cotton –wool plug back in and leave in a warm place. The yeast will ferment fast and be ready in 2 to 3 days. Chop damsons, remove stones, and put your fruit into a fermentation bucket. Pour on your boiling water, stir in 1 lb of your sugar, keep the rest back, and allow the mix to cool before you add your other ingredients, and the starter yeast mix. Stir and then cover with a cloth or lid and let the mix ferment for 4 to 5 days. Remember to stir the liquid twice, daily as it ferments. Strain carefully and don’t squeeze the fruit. Return the liquid to the fermentation bucket. Over the next 4 or 5 days add the rest of your sugar about a lb at each time. Stir so the added sugar dissolves. Siphon off into a 1 gallon jar and fit an airlock. Leave the brew in a reasonably warm place. At 3 or 4 month intervals you can rack the wine (siphon off sediment) until the wine is clear and ready to drink which can take up to a year. Once you broach (open) the jar for a jug of wine bottle the rest and seal the bottles so the wine doesn’t go off. In Christmas Carols Stephen and Alice mainly drink tea but wine is mentioned later in the story. The soft swish of sound told him she stirred the pot. A few seconds later, he smelled the rich fragrance of the tea as she poured it into a cup. This was followed by the distinct dribble of milk. “Thank you for telling me, and yes, Stephen.” She near whispered the word. “I’ll be happy to call you by name when we are alone as we are now.” She paused and the click of her cup leaving the saucer sounded as she lifted her cup before adding, “My name is Alice. As a friend, I would welcome you using my name. This entry was posted in Author Spotlight, Blog Tour, Book Reviews and tagged Christmas Carols, Daisy Banks, Mae Clair, Sweet Romance, Victorian Romance by Mae Clair. Bookmark the permalink. I didn’t realize making wine was such a chore. Sounds delicious, though. I really enjoyed your excerpt. Good luck with your new release! Thanks for the good wishes, Sue. I can say if you go to the touble of making the wine it is a lovely reward when you open a bottle and sit by the fire to taste it. I’m Italian, so I’m no stranger to homemade wine. I’ve never had damsons, however, nor the wine. It sounds delicious; I’d love to try it. The book also intrigued me. I wish the author much success with it. Thanks for the comment and good wishes, Staci. From one Italian to another, thanks so much for visiting, Staci. It’s lovely to see you here! 🙂 I admit I never had damsons or the wine either, but the book I can vouch for. Lovely story that warms the heart. Thanks for checking out Daisy’s release! A tour with a recipe, how creative. I love it. Daisy really has some clever ones on this tour. Thanks for reading, Craig! Around here, Romania, I mean, people make a strong drink from damsons. Called Tzuica. It’s stronger than wine. I have the book and will read it soon. It sounds right my alley, Daisy. Best of luck with it! Mae, your review makes me want to read it right away. Thanks for commenting, Carmen. I think what you describe is what I’d call a fortified wine and it sounds lovely. Do enjoy the story when you read it. Carmen, you’ll love it. A very sweet story. Daisy does a wonderful job of transporting the reader to the Victorian era. Woo hoo, Daisy! Best of luck with your new book. I look forward to reading it, especially with the time period. Thanks for sharing the wine recipe. Thanks for visiting, Flossie. You’ll love Daisy’s book. It’s such a sweet enchanting tale. Thanks for the good wishes, Flossie. I hope you enjoy the book when your read it. Thanks so much for hosting me, Mae. It is always a pleasure to visit with you. Always delighted to have you visit, Daisy! Love the warm, Christmassy cover. Thanks for the recipe, Daisy, and best of luck with “Christmas Carols”. Thanks for visiting, Emma. Christmas Carols is a wonderful read! Thank you for the good wishes, Emma. Thanks for visiting, Kev. This was a fun read!